Israel Folau's contract looks set to be terminated by Rugby Australia. Folau has a history of making controversial, homophobic comments and his latest effort called on "drunks, homosexuals, adulterers, liars, fornicators, thieves, atheists and idolaters" to repent for their sins or else "hell awaits" them. Major Wallabies sponsor Qantas, who threatened to pull its sponsorship last year following a series of provocative posts from Folau, hit out over the post, calling it "really disappointing" and Rugby Australia confirmed they intend to terminate his contract. "Rugby Australia and the New South Wales Rugby Union have made repeated attempts to contact Israel both directly and via his representatives since 6.30pm on Wednesday, and at this point he has failed to communicate directly with either organisation," the statement from Castle and New South Wales CEO Andrew Hore read. 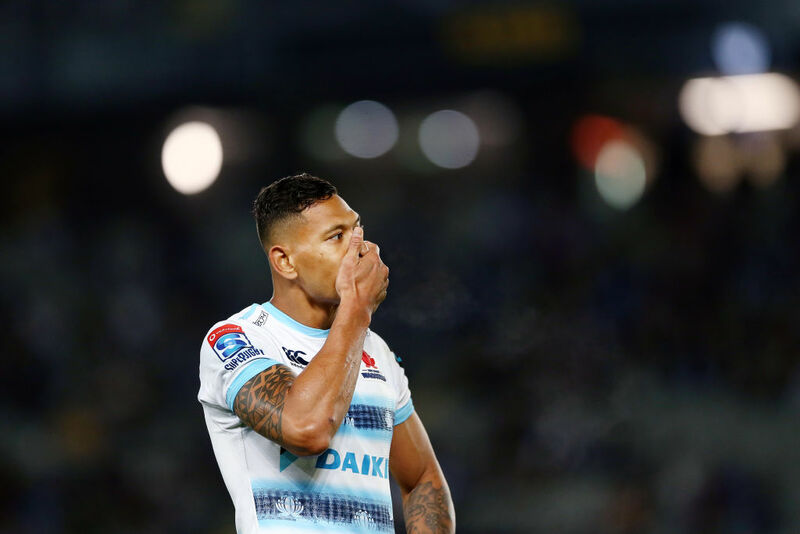 Folau had just last week become Super Rugby's all-time leading try-scorer, and if terminated, he would be unable to complete the season with the Waratahs, or play for the Wallabies at the Rugby World Cup. The 30-year-old had only last year signed a four-year-deal, which had him labelled as rugby's highest paid player.